To be fair, Steve Jobs definitely wanted to ding your pocket book, too. The Macalope doesn’t know if you’ve heard, but Apple Products Cost Too Much™, and have for years and years. One of the most common complaints from fresh converts to Face ID is that it “doesn’t work” when you’re wearing sunglasses. Not everyone has this problem—it depends on the sunglasses—but early on I fell prey to it myself while wearing my gargantuan Ray-Ban aviators. 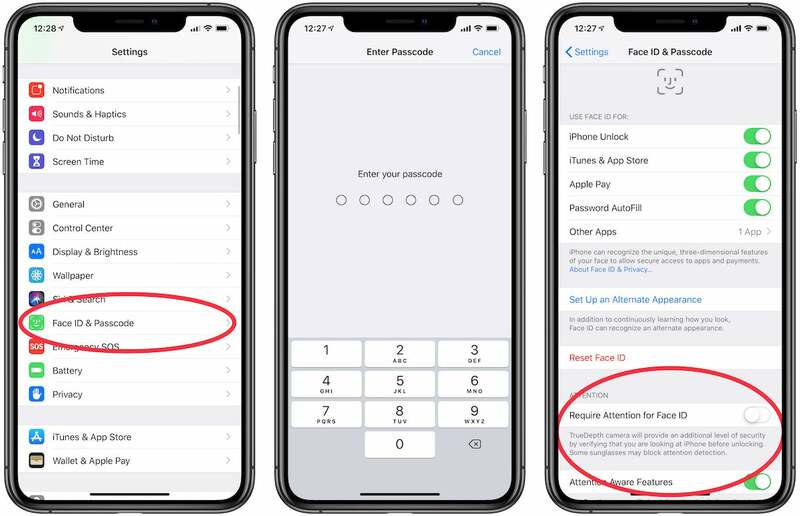 Thankfully, there’s a simple setting that makes it a lot easier for Face ID to recognize your mug when you’re sporting your favorite shades (although it comes at the expensive of sacrificing a bit of security). Here’s how you do it. Scroll down to Face ID & Passcode. Press it. Scroll down to the toggle that says Require attention for Face ID and switch it off. That’s all! Face ID should now work when you’re wearing most sunglasses. This also speeds up Face ID in general. In 2018, Apple released a new video codec called ProRes RAW, which allowed for smaller files sizes than the previous ProRes codec produced, but with the high quality of uncompressed RAW video. One trick with releasing a new codec is getting it adopted by third-party developers and the professional community. There seems to be movement in ProRes RAW adoption, though. At the National Association of Broadcasters (NAB) show that kicks off on Saturday, four companies announced that they are including ProRes RAW support in their products starting on April 8. Assimilate announced that its Scratch product line will have ProRes RAW support. Goodbye, AirPower! We hardly knew ye. It’s only early April and it’s already been a tough year for Apple. Besides the admission that the company simply could not ship the wireless charging pad that it had been teasing for a year and a half, there was also the restatement of the company’s holiday quarter results, and an Apple event featuring TV content that showed remarkably little of that content, leaving some folks scratching their heads.